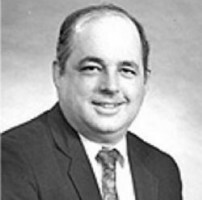 Paul F. Amoruso, CPCU, has more than 48 years of experience working for several major insurance carriers as a Senior Vice President of Claims and Operations. As a licensed insurance agent and licensed public adjuster, he is qualified to assist either plaintiff or defense attorneys on insurance related issues on local or national issues. Mr. Amoruso provides expert witness testimony to identify issues related to bad and good faith claims procedures, providing guidance for pre and post litigation management. In addition, he offers client orientated assistance in relation to accepted claims practices, and provides insight on claim issues to law firms. He also offers evaluations related to workers compensation case management, insurance company procedures, guidance for proper claims handling practices, reviews for State government on insurance company conduct, and advices on issues concerning insurance companies and insurance agents. He has produced multiple federal reports and testified in both state and federal courts as an insurance expert many times. Mr. Paul Amoruso’s experience in all operation areas of the insurance industry qualifies him to testify to the generally observed and accepted industry practices. Business Interruption Insurance; Adjuster Case Load. Mr. Paul F. Amoruso received his Bachelor degree from Providence College, and has more than 34 years of experience working for several major insurance carriers. He worked from claims adjuster to Senior Vice President of Claims and Operations, and as a licensed insurance agent and public adjuster. He became a building damage estimator after attending Vale Tech, in Blairsville, PA. He has taken and given numerous industry courses in claims procedures and operational workflow. He has earned his CPCU (Chartered Property Casualty Underwriter) designation. Since 2003 he has been an instructor at the Insurance Library of Boston teaching multiple courses involving agents producers, claims staff and underwriting. After College, Mr. Paul Amoruso spent the next 20 years with Liberty Mutual Insurance Company, starting as an all lines claims adjuster; then he worked as Claims Manager. When he left the company, he was recruited as VP of Claims of a fledging Massachusetts property casualty insurance company, being in charge of the claims department and responsible for the operational side of said company. Starting with 40 policies, the company grew to over $250,000,000 in premium volume in less than 7 years in multiple states. Having become the Sr. VP. of Claims and Operations supervising over 250 people, he left the company and formed his own insurance consulting business. Among other activities, Mr. Amoruso has written claims and procedure manuals and established underwriting audit protocols; he has worked on the development of two computer systems for claims operations and has worked as a compliance reviewer for State government. Additionally, he formed a company to audit Medicare for fraud and abuse, and started Swift Brook associates to work on insurance related issues. Mr. Amoruso is an experienced insurance professional who has been working since 2001 with insurance companies and law firms. He is qualified as an expert witness in State and Federal Court. Massachusetts, Property Casualty insurance agent for personal and commercial lines of business. Qualified as an expert witness in State and Federal Courts.